On April 1, the Act for Partial Amendment of the Immigration Control and Refugee Recognition Act became law. Under this act, residence statuses for foreign residents have been reorganized, leading to several important changes, one of which we will focus on in this column: the replacement of the former “investor/business manager” status with the new “business manager” category. Until now, for a foreign national to qualify for investor/business manager status, he or she had to be engaged in the management and operation of a company that had been invested in by either by a foreign national or foreign corporation. This meant that a foreign manager of a purely Japanese-owned company would not have qualified and would have instead had to obtain either “specialist in humanities/international services” or “engineer” status. (Also worth noting is that under the new act, these two categories have been consolidated into a new “engineer/specialist in humanities/international services” status.) By removing the requirement that a business be connected to foreign investment, the new law addresses the anomaly whereby a manager of a foreigner-owned firm and another of a Japanese-owned firm qualified for different visas even though they may have been engaged in the same type of activities. There are other changes afoot, too. The periods of stay permitted under the old investor/business manager status were five years, three years, one year and three months. However, the new act has established an additional period of stay of four months. 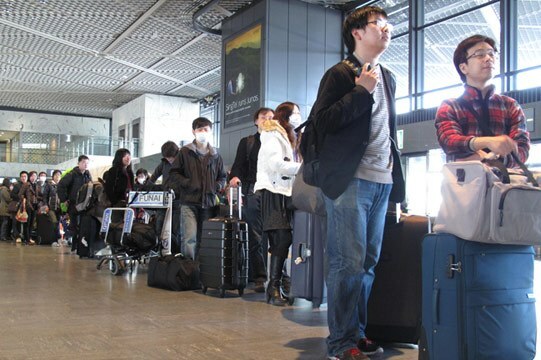 Foreign nationals staying in Japan for longer than three months are considered by the Immigration Bureau to be “mid- and long-term” rather than short-term residents, which means they would be issued with a residence card upon arrival and be able to apply for a residence registration certificate (jūminhyō). When applying for the certificate of eligibility for the investor/business manager status, foreign residents were required to submit the certificate of company registration for the firm the applicant was intending to work with. However, in cases where the company has not yet been registered, the new system instead allows the submission of a copy of the Article of Association or other materials that clearly demonstrate the business is in the process of being set up. In short, this means applicants are not obliged to establish and register a company prior to submitting forms for the certificate of eligibility. This will enable foreign nationals to obtain business-manager status for an initial four months, during which they would be expected to carry out all the necessary paperwork to establish a company, after which they could then apply for a longer period of stay. The fact that even foreign business managers with a four-month period of stay would also get both a residence card and have the option of applying for a jūminhyō should make it easier for them to open bank accounts and conduct other necessary preparation for establishing a corporation. With Japan’s economy in desperate need of a period of stable and sustainable growth in the wake of a two-decade slump, only time will tell whether reforms such as these will succeed in convincing top-class foreign management talent to bring their skills — and their business — to Japan. Share the post "Japan Amends Visa Act to Attract Foreign Investor/Management"